I don’t currently believe the higher level of stock market volatility is a sign that the next economic recession is right around the corner. Yet, I could be wrong, and the market could also plunge into a bear market without the drop being triggered by the economy going to negative growth. My income investing strategy remains focused around owning, high-yield, secure dividend paying stocks as best way to navigate the stock market strategy. However, when the market goes down, down, down, it is easier to stick to the plan if you have some money in investments that pay attractive yields and don’t follow the stock market swings. Here are three ideas to put in your income investing toolbox. The U.S. Treasury lets individual investors buy Treasury bills, notes, TIPS and bonds without commission at the auction yields through what they call a TreasuryDirect account. The minimum investment amount is $100. By putting your short term cash to work by investing directly in Treasuries, you get the safety of U.S. government issued debt and will earn a higher yield than your bank or brokerage account offers. For example, re-sent auction yields range from 2.2% for the 4-week bill to 2.88% for the 2-year note. For comparison, the Fidelity Government Money Market Fund currently yields 1.85%. Using TreasuryDirect helps your short-term emergency fund money work a little harder for you. Compared to short-term Treasury Bills, preferred stock shares sit at the other end of the yield curve. Preferred stock dividends have a distinct safety advantage over common stock dividend payments. A company must pay preferred dividends before paying dividends on the common shares. Many preferred issues are also cumulative, which means that if common and preferred dividend payments are suspended by a company, all the unpaid preferred dividends must be paid before the company can again pay dividends on common shares. The result is that preferred stock is a high yield investment with a very low risk of dividend cuts. Preferred stock prices will rise in a recession if the Fed reduces interest rates, which it very likely will to stimulate the economy. You need to be aware preferred prices will decline in a rising rate environment. It’s tough to evaluate individual preferred stock issues, so I recommend using a dedicated fund like the iShares U.S. 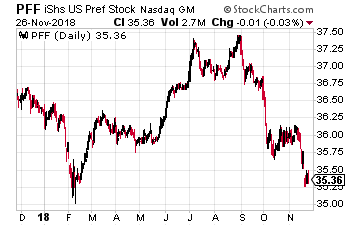 Preferred Stock ETF (NYSE: PFF). Commodity exposure can be a great hedge against rising prices and inflation. 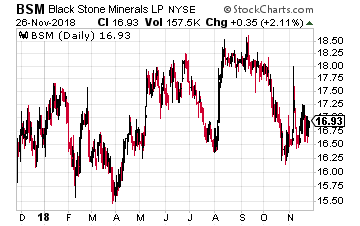 Black Stone Minerals, L.P. (NYSE: BSM) is the largest pure-play oil and gas mineral and royalty owner in the United States. The company has rights to over 20 million mineral and royalty acres with interests in 41 states and 64 producing basins. Mineral, energy or commodity royalty investments give you exposure to the commodity values without any business operating costs. This means that while commodity prices and your returns from this type of investment will fluctuate, you avoid the risk of a business operation challenges such as insufficient cash flow to pay dividends, or even bankruptcy. Black Stone Minerals is managed for growth through acquisitions. The distributions paid to investors have grown since the mid-2015 IPO. Commodity exposure is a great hedge against inflation and a depreciating dollar. These three investment ideas will provide a safety net in the case of an economic recession or stock market crash. For my Dividend Hunter subscribers, I have searched out even more attractive investments in these three categories. It all starts with a simple to use, yet powerful calendar – called the The Monthly Dividend Paycheck Calendar. It’s kind of like the one you might have on your desk, only this one tells you when you’ll get paid and how much you’ll receive each and every month. The next critical date is Tuesday December 4th, 2018 (it’s closer than you think), so you’ll want to take before that date to make sure you don’t miss out. This time, we’re gearing up for an extra $5,187.00 in payouts by New Year’s, but only if you’re on the list before December 4th. Click here to find out more about this unique, easy way of collecting monthly dividends. Tim Plaehn is the lead investment research analyst for income and dividend investing at Investors Alley. 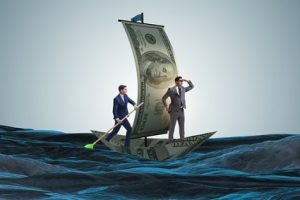 He is the editor for The Dividend Hunter, an investment advisory delivering income investments with double digit growth in share price and dividend payments, and 30 Day Dividends, a specialty income service that takes advantage of opportunities for relatively fast, attractive profits around potential dividend payouts.